Another week, another project proposal. Redwood City sure seems to get them more frequently than most cities. In any case, they are a sign that Redwood City remains hot within the real estate development community. 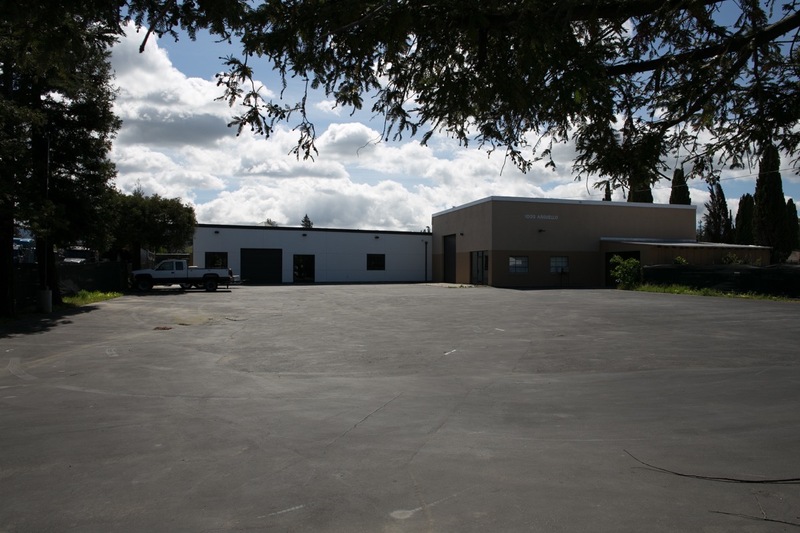 What remains, though, is a 3.2-acre site that is currently filled with light industrial buildings and parking lots. 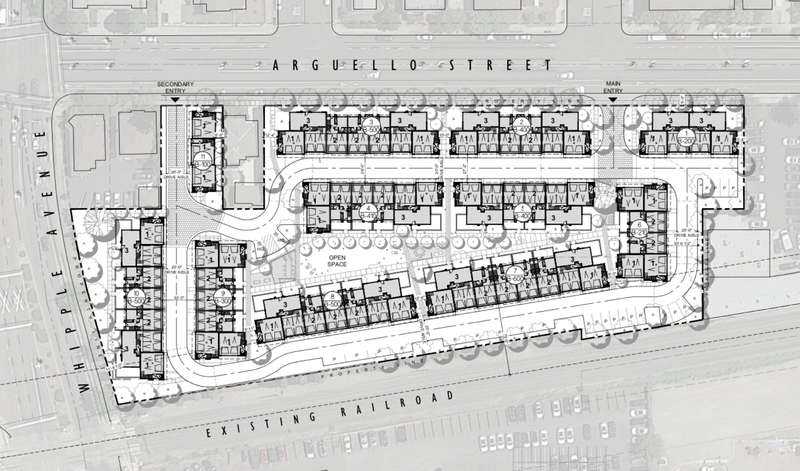 The proposal is to build 68 townhouse-style condominiums there, sandwiched between the Arguello Street and the Caltrain tracks. Each townhouse would be three stories high, with a two-car garage on the ground level. And in an interesting design twist, most units would have a rooftop deck. [Click the above for a version you can zoom in on] Arguello Street runs across the top of the above image, and the Caltrain tracks angle across the bottom. Whipple Avenue is to the left. The unit designs are really interesting. Many have the typical design, with the garage on the ground floor, the main living space (living and dining areas, along with a kitchen and a half bath) on the second floor, bedrooms on the third floor, and a rooftop deck above that. Other units put the main living space on the ground floor adjacent to the garages, with bedrooms on the second floor and a “bonus room” (a den, really) and a nice-sized balcony on the third floor. Yet another set of units sport a bedroom and a full bathroom on the ground floor along with the garages, placing the main living space and a small balcony on the second floor, two additional bedrooms (one configured as a master) on the third floor, and a rooftop deck on top of all that. There is nearly every combination you can think of, with some units featuring two bedrooms and some having three. And if I’m understanding the designs correctly, each unit has space on its flat roof for solar panels. As you might be able to tell from a careful examination of the rendering above, in various places the buildings have what appear to be fourth-story towers. In fact, those are the enclosed stairwells that provide access to the rooftop decks. When considering how well a residential development like this would fit into the neighborhood, three of the adjoining properties currently have, and would continue to have, houses on them (even if two of those houses are being used as offices, they still look like houses). 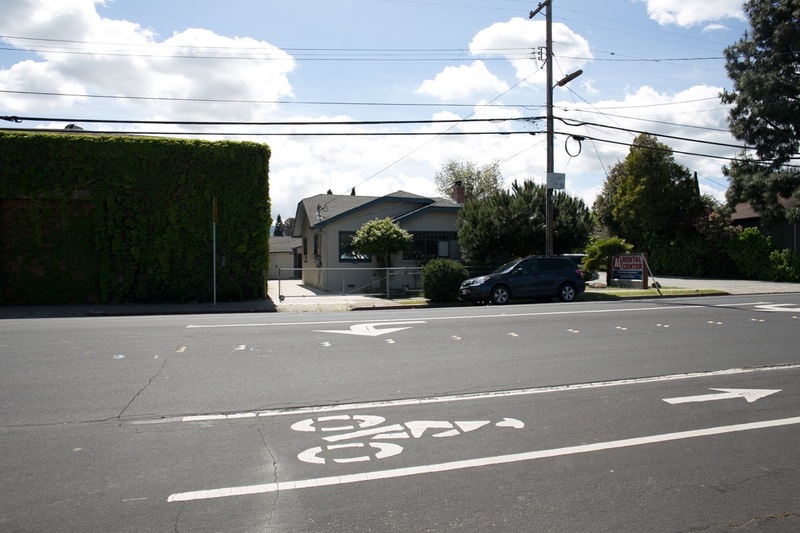 More importantly, the opposite side of Arguello Street is entirely residential, with both single-family homes and multi-family buildings — some of which are three stories tall. So a residential development like this would fit in quite well with the neighborhood. And as a nice bonus, this multi-family project would help to further shelter the neighborhood from the (currently empty) automobile dealership that backs up to the project site (that dealership is separated from the subject property only by the Caltrain tracks). 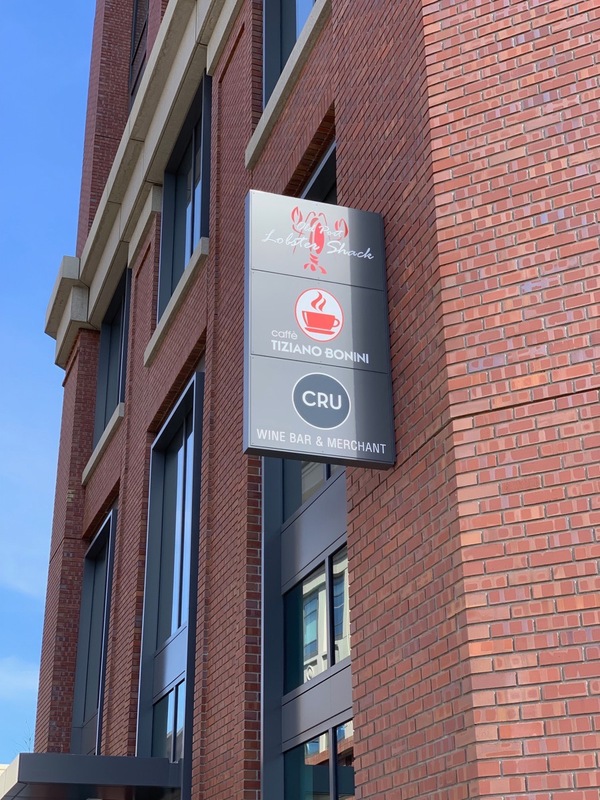 Cru, of course, has been in operation for a while, in the space next door to the one that the Lobster Shack will be occupying. Cru serves coffee and breakfast items in the morning, and then turns into a really great wine bar and wine retail shop in the afternoon and evening. From what I can tell, it appears that “Old Port Lobster Shack” and “Caffé Tiziano Bonini” will also be two incarnations of a single business (with different names? ), presumably with the “Caffé” doing its thing in the morning, and the Lobster Shack taking over for lunch and dinner. Caffé Tiziano Bonini is an Italian coffee roastery that sells coffee in capsules and pods, and their website claims that they have “the largest chain of coffee stores in Italy.” So I think we can guess as to what kind of coffee they’ll be vending… Whatever the final story turns out to be, we’ll know for sure very soon: their build-out really shouldn’t take too much longer. Over on Main Street, I was delighted to see evidence that “Mezes,” the restaurant that was slated to occupy the old Aly’s on Main space at 911 Main Street, seems to be moving forward. Some time ago I got excited when I noticed that the inside of the storefront’s windows were covered with paper: that is often a good sign that remodeling is taking place. However, the windows were papered over almost a year ago, and I’ve seen no signs of activity in the space since. No signs until this week, that is, when a new “Notice of Nonresponsibility” went up. These notices indicate that the building owner has observed work going on, and let contractors and vendors know that they, the building owner, isn’t responsible for that work. If the contractor or vendor has problems getting paid, the notice indicates that they need to look to the business owner, not the building owner, for their money. Researching the information on the notice led me to one of the principals I had originally determined to be involved with Mezes, so although I cannot guarantee that the new restaurant will still be called Mezes, I at least have newfound hope that we will indeed get another restaurant in this spot, eventually. The group that owns Mayfield Bakery & Cafe and The Village Pub took over the building in November of 2017, and had hoped to be open with their new venture by last summer. However, based on my visits over the last several months the project to turn the Chantilly’s space into a Michelin-class high-end dining establishment had stalled. Thanks to Elena’s blog post, though, it seems that the project is moving ahead and should open sometime this summer. 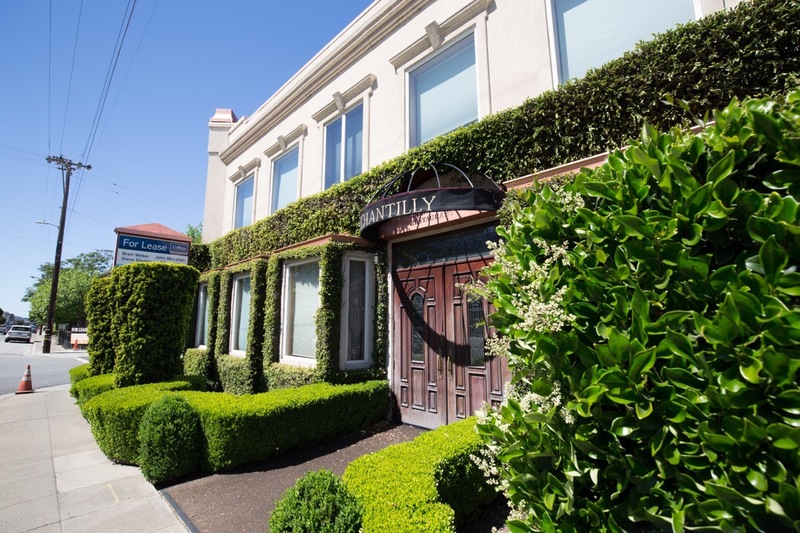 When it does, you’ll find Selby’s at 3001 El Camino Real, at the intersection of El Camino Real and E. Selby Lane (which technically isn’t in Redwood City — it is in an unincorporated part of San Mateo County — but its close enough). Redwood City’s Pride and Beautification Committee is holding a volunteer clean-up day on Saturday, April 27, from 8:30 a.m. to 12 noon. Breakfast and a BBQ lunch will be provided! Meet at Public Works Services, 1400 Broadway (near Woodside Road). All volunteers are welcome, but I’m sure that they’d appreciate a heads-up if you are coming: RSVP for the event here. And do give serious thought to attending; it’s a great way to give a little something back to Redwood City.